Despite spending most of my years as a single gal, I’ve always loved Valentine’s Day. One of my favorite Valentine’s memories was spending the night at a sushi bar with my sister and single friends. 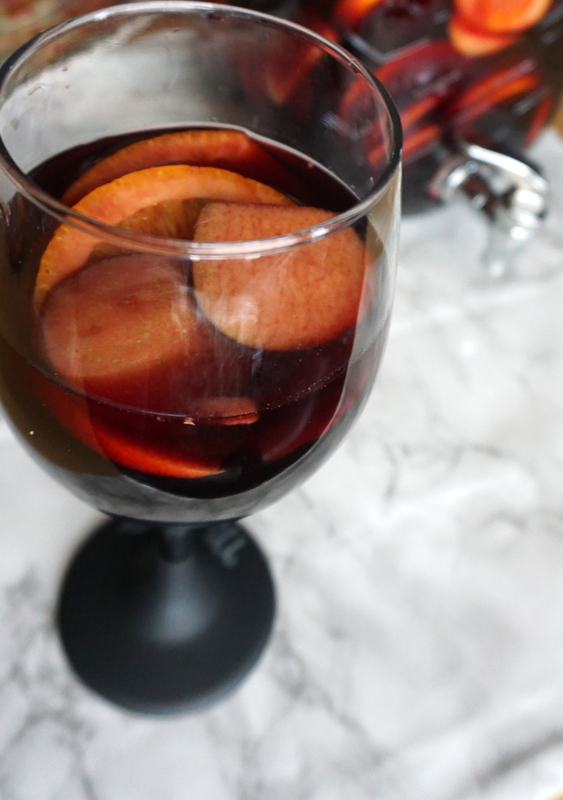 It’s all about the love, and I love my friends, sushi, and wine That’s what made me think of this red sangria as a great option for this Valentine’s Day weekend. You can share this with your love, or make a big ol’ batch of this and share this with your friends! 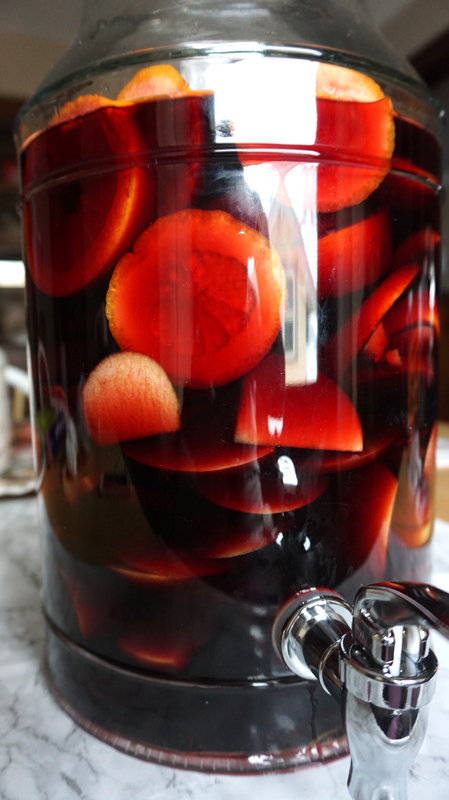 I’ve made this sangria several times for parties. I usually quadruple the recipe and make this in a drink dispenser with a full box of wine. If you do this you probably won’t need four times the fruit, I think three times would cut it. This is a make-ahead recipe, and it actually tastes better the next day, but if you make it in the morning and serve in the evening it will still be great. ¼ cup orange liquor, like Triple Sec or Cointreau - I used Triple Sec, WAY cheaper! Cut the oranges and apples into thin slices or wedges. Leave the peels on. Transfer the cut fruit to a pitcher. Measure the brandy and pour it over the fruit. Measure the orange liquor and pour it into the pitcher as well. Stir the liquor, wine, and fruit together. 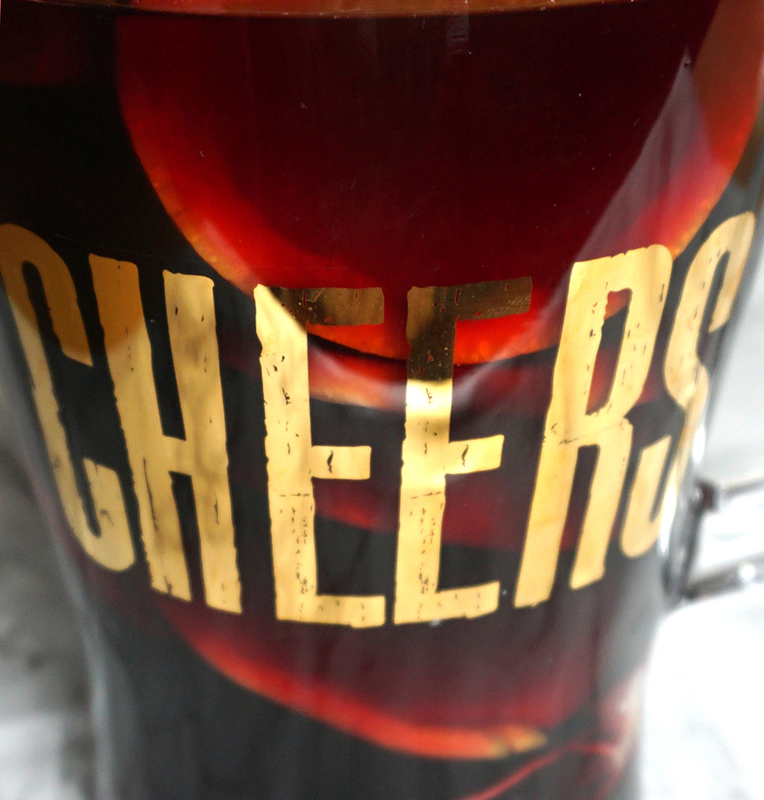 Cover the pitcher and refrigerate for at least 4 hours, or preferably overnight. 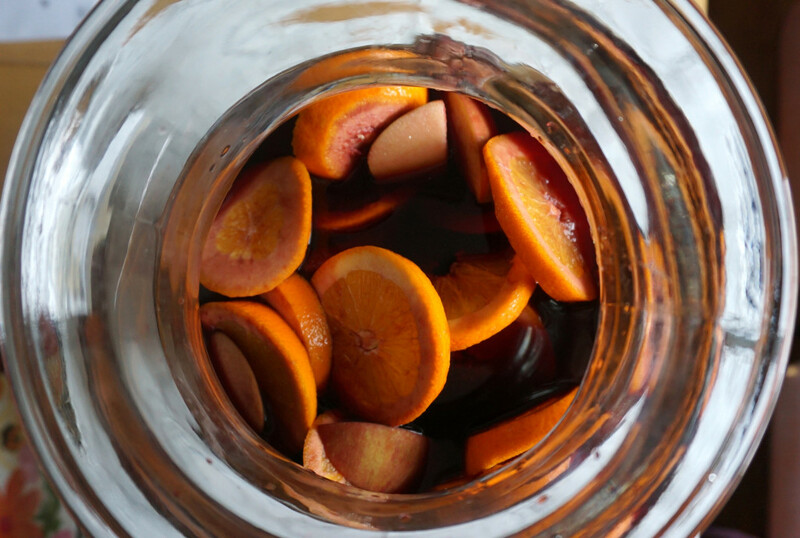 Do not taste the sangria now; you will be disappointed! It gets softer, sweeter, and much more delicious overnight in the fridge. When ready to serve, top off the sangria with sparkling water. Stir gently to combine. Taste and add more if desired. Scoop a few pieces of fruit into each glass when serving.